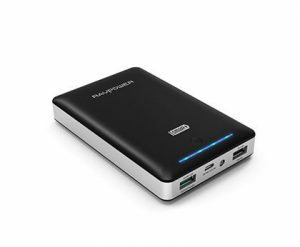 Never again will you have to worry about your phone dying in the most inconvenient times. Many of us now carry our lives on our phones: our boarding passes, itinerary, hotel confirmations and most importantly maps to get us to all of these places. We know why traveling your phone may die quickly because your snapping lots of beautiful photos so don’t sacrifice capturing the moment because you’re worried about your battery dying. You may have not heard of this one, but I am sure you’ve wished you had one at one point. There’s nothing better than find the perfect spot with a amazing view on a beautiful day…except you don’t have anywhere to just hang out an take it all in. 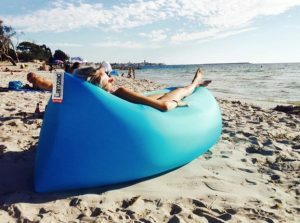 Lamzac is an inflatable chair that’s durable, light and packs up very small so that it is easy to carry, so when you are ready to find a new spot just deflate and roll it up. Warning, you may get to comfy and never leave your lamzac. 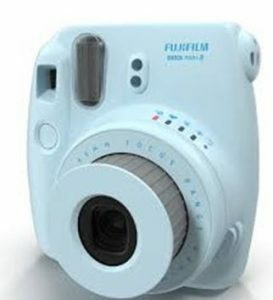 A Fujifil Instax Camera is the new Polaroid, it instantly prints out your photos. This is perfect for all travelers because it leaves you with fun little candid keepsakes that you can’t edit or redo, you get one shot and that is what prints. You often will end up with candid laughing shots and unstaged photos. This camera also is great for travelers traveling to more remote areas, as many people around the world do not have the funds or resources for cameras, so if you are staying with a host family or just connect with someone, snap a picture of them and their family on this camera and let them keep the picture as a gift, it will mean more than you know to them. As cheesy as money belts may seem, they are one of the most important things a traveler can have. Money belts are usually worn to protect traveler’s passports and money from thieves and just to keep all of your important documents organized in one place. But having a waterproof money belt will not only do that but will allow you to be more adventurous while wearing your money belt. For example, not having to run and find shelter when it starts to rain, or ditching walking close to the beach because you’re afraid of getting splashed. 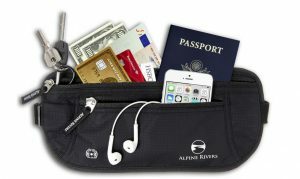 The water proof money belt will keep your most important documents safe, organized and dry! Because a wet passport equals no passport.